Battery assembly line produces by COSMEC GROUP is a complex machine composed by various sub-stations. 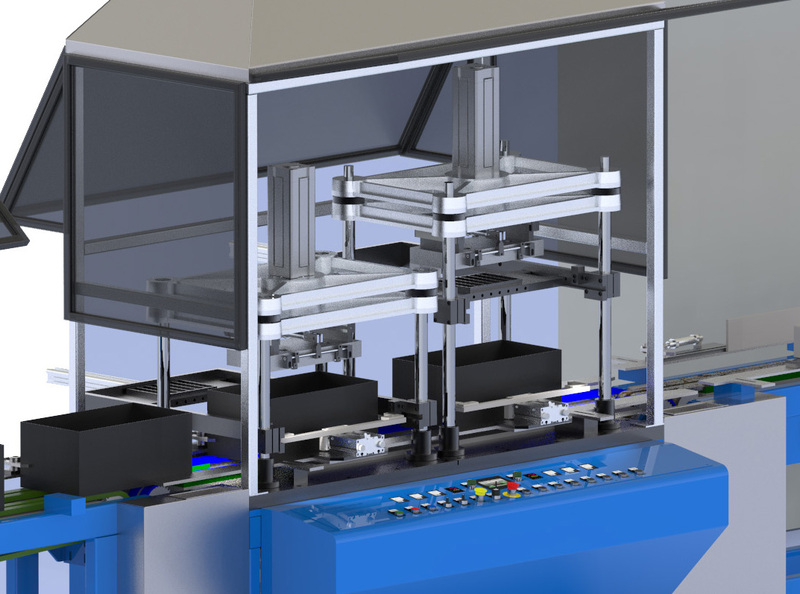 They are all connected by a common conveyor belt for automatic assembly of all types of batteries. The rapid change of battery type guarantees the wide range of batteries produced in the factory. The short-circuit tester is designed to detect short circuits in case of moist plates and separators. 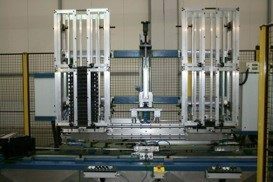 The machines allow the checking of the six groups inserted in the boxes; the test may be regulated by a potentiometer of voltage from the controlpanel. 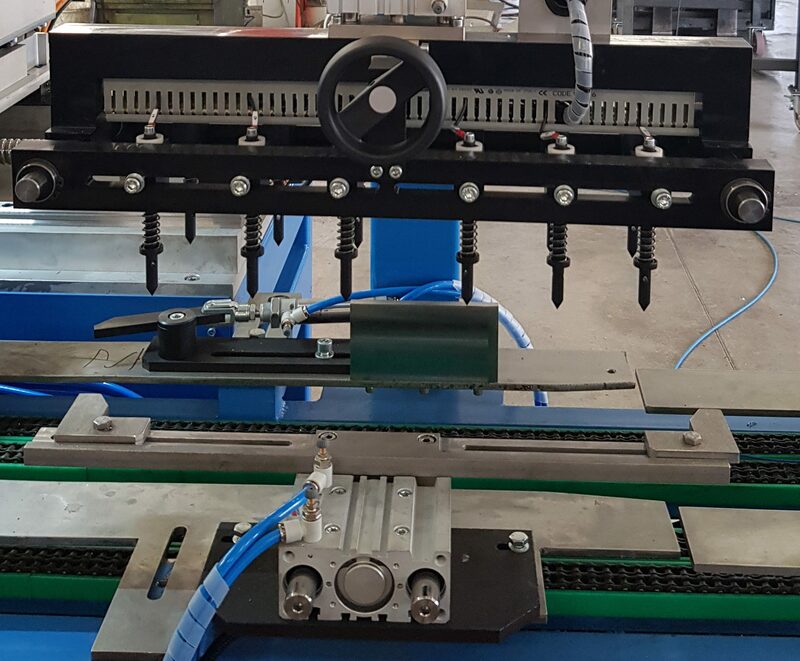 In case a battery does not pass the test, it will be ejected on the first ejection station without any intercell welding process. The station performs welding of the straps to one another through previously made holes in the polypropylene. The machines is equipped with a couple of hydraulically controlled tongs. The welding is performed with a high-density current, which is previously set on the control panel. 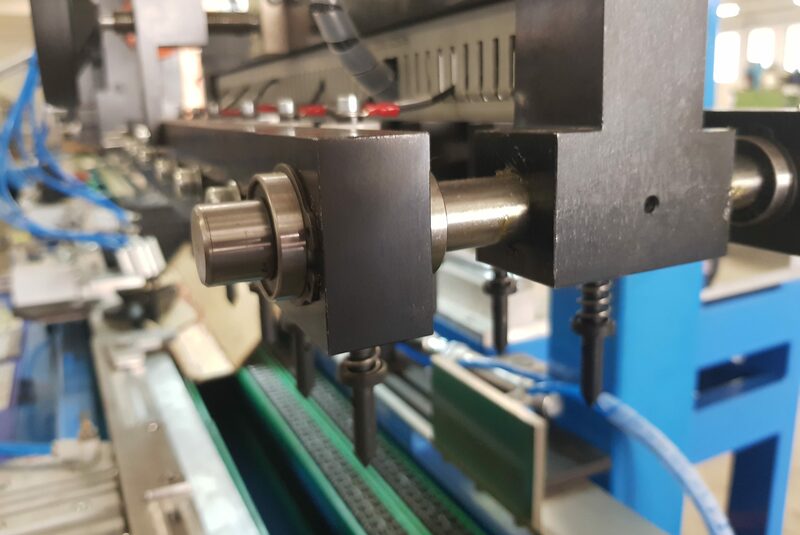 90 degrees automatic rotation of one of the heads allow the machine to weld also truck batteries without the necessity to stop the production for set-up. The machine ensures that there is no short-circuits between different cells of the battery. Position adjustment along X and Y axes of the probes is guaranteed by a servomotor drive. 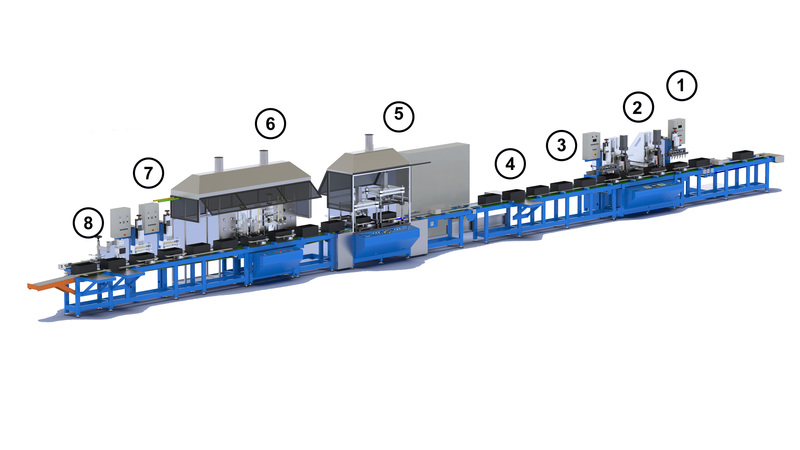 The station operates by taking stored lids and through a precise “pick and place” system automatically puts the lid on the corresponding coming by the conveyor from the previous stage of the assembly line. 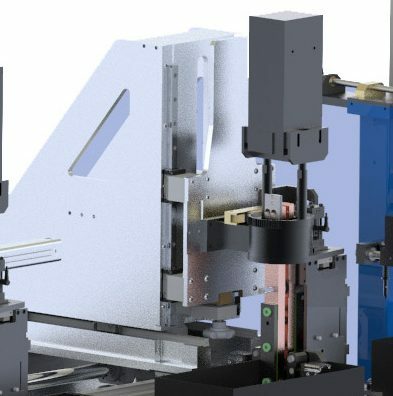 The machines is used to seal the lid to the box through thermowelding of both. The hot plate is heated by resistances and is easily replaceable in case of format change. The optimal sealing is guaranteed by melting the contact surface of both the lid and the box before putting them back together. The process is composed by: arrival of the battery under the hot plate, picking up the cover, positioning the hot plate on the battery case and the cover on top of the hot plate, withdrawing of the hot plate and positioning and bonding the lid with the cover, drive off of the battery by the conveyor. This stage of the assembly line is the final formation of the battery terminals. Under specific pre-fixed conditions (temperature and time), the battery posts and the flanges of the cover are welded together. The temperature control is provided by water or oil circulating through the collared bushes where the post are burned. The machine tests the presence of damage on any internal or external wall of the battery as well as controlling the sealing of the cover. 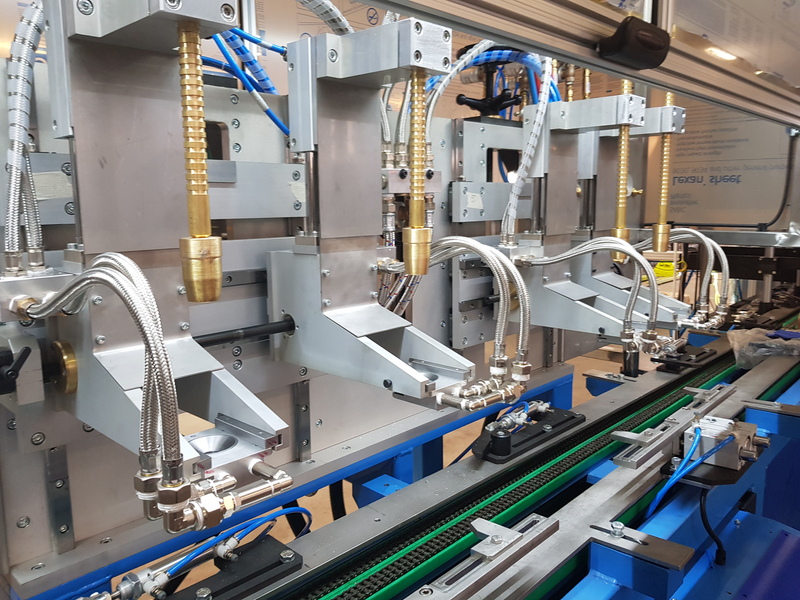 Through compressed air this stage of the line controls first the 1-3-5 cells of the battery and on a second stage checks the presence of leakage in the 2-4-6 cells. In case the battery does not pass the test and air leakage is detected an alarm goes off. At the endof the line every battery is engraved with unique serial number to facilitate the following of the battery in the following stages and in aftermarket.